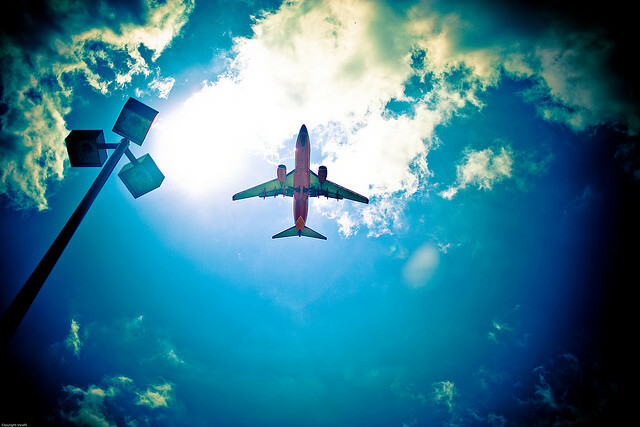 Are you planning a plane trip for school vacation? 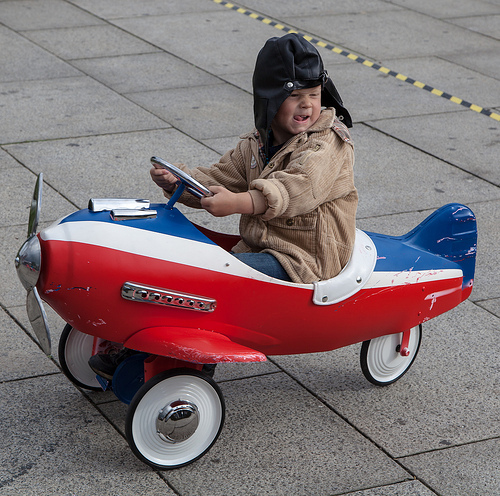 There are many aspects of the airport and plane that can be a challenge for children with sensory processing disorder. Here are some ideas to consider as you plan your trip. Create a checklist of the steps involved in air travel: parking the car/being dropped off, checking baggage, going through security, finding the gate, etc. Have your child check off each step as you complete it. You may want to add bathroom stops as required steps if your child is hesitant to use the restroom. Have your child wear shoes that are easy to slip on and off as they go through security. Make sure your child understands that TSA dogs are working and cannot be pet or played with. Have your child carry a small backpack through the airport for added deep pressure input. Find a quiet corner of the terminal and have your child complete wall push ups or other proprioceptive activities. Pack chewy snacks for your child to eat. Let your child chew gum during the plane’s ascent and descent. Make sure your child tries the flavor before the trip and understands how to dispose of the gum properly. Bring a loop of theraband for your child to pull on during the flight. Your child can stretch it with their hands, loop it under their legs and pull upward, or loop it under their feet and press down. If you are bringing a portable DVD player or using the in-flight movie system, make sure you pick a movie or show that is shorter than the flight time. Check with the flight attendants to estimate how long before landing the pilot will require passengers to turn off electronics. Or, be sure your child understands that when the pilot says to turn off the movie, it is time to turn off the movie, even if it is not finished. Bring extra batteries for portable electronics. Keep a stash of snacks in a small bag that you can stow under the seat in front of you. If there is heavy turbulence or your child gets hungry during the plane’s ascent, you will not be allowed to retrieve anything from the overhead bins. Talk about the plane’s bathroom ahead of time. Look at pictures online together. Discuss that the bathroom is likely very small, the toilet water may be blue and the bathroom may have a strong air freshener. If your child is bothered by sound, let them use the restroom and wash up, then let them leave before you flush the toilet. Make sure your child uses the restroom prior to the plane’s descent, because once the fasten seatbelts sign comes on, they will not be allowed to get out of their seat. As the plane is descending, take a moment to remind your child that even after the plane stops, you will have to wait a few minutes for the people towards the front of the plane to gather their belongings and get off the plane.